The Formotus creator feature list is growing with each new release. This article will update you on a number of features that have been added recently. We have added a feature that many of our customers have requested–a quick way to duplicate a page. After you have finished creating a page, and you want to add a second page just like it to use as a “template” for your next page, you simply click on the Page drop down and select Duplicate. Some of the features that our customers request seem so obvious we wonder why we didn’t think of the feature before our customers did? When you are creating a Formotus mobile form that includes workflow, you will most often want to include the names of all of your mobile users. Typically, in a workflow form, the job/task is assigned to one of the mobile users registered in your Formotus account. The person who assigns the jobs using the Formotus form can choose the mobile user from the drop down list that will include all of your mobile users. You can create Formotus form links that pass parameters by using the XPATH of fields you want to populate. For example, you can select a form link that will open your form in Formotus Now or Formotus Pro, and have fields automatically populate with data. This is useful when you want to send a form to someone with their name or project number pre-filled on the form. With these 4 simple steps you can add this capability to any of your Formotus forms. First, create a Formotus Now link for the form of your choice. To do this, advance to the Links tab in the Formotus portal, select your form, and the COPY LINK button. You will add to this link, so paste it somewhere you can edit text, for example, Microsoft Word. Next, you need the XPATH for the fields you want to populate. In your creator form, select the control of your choice; I will be using a textbox. Next, select Fields in the right panel, and View XPath. COPY XPATH, and paste it on the end of your Formotus Now link separated by ‘&‘. Adding the ‘&‘ is an important step, see the example in bold below. Without this, the link will not open correctly. Now you can specify what field data you want within the control. For my example, I want my textbox to read ‘test’ when my form is opened. I simply need to add ‘=test’ after my Xpath at the end of my link and I’m done. Now, when I select the link, Formotus Now will be prompted, and my form will be opened with ‘test’ within the textbox. 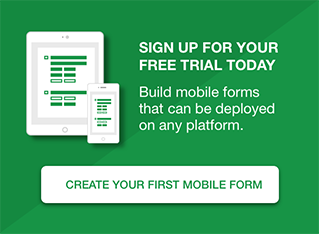 Now Formotus mobile forms can filter data from a Google Sheet query. 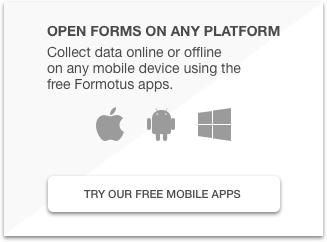 If you have a Google Sheet with data that you are using, in a few easy steps you can populate your Formotus mobile forms with data from your Google data stores. Formotus customers who use the Repeating Photos control in their Formotus mobile forms can now submit those photos to a Google Folder. Mobile users who capture many photos while doing inspections, even working offline, can submit all of their photos directly from their mobile device to their Google Folder. Learn more about these new Google integrations in our recent blog Formotus Mobile Forms Working with Google Sheets and Google Drive.